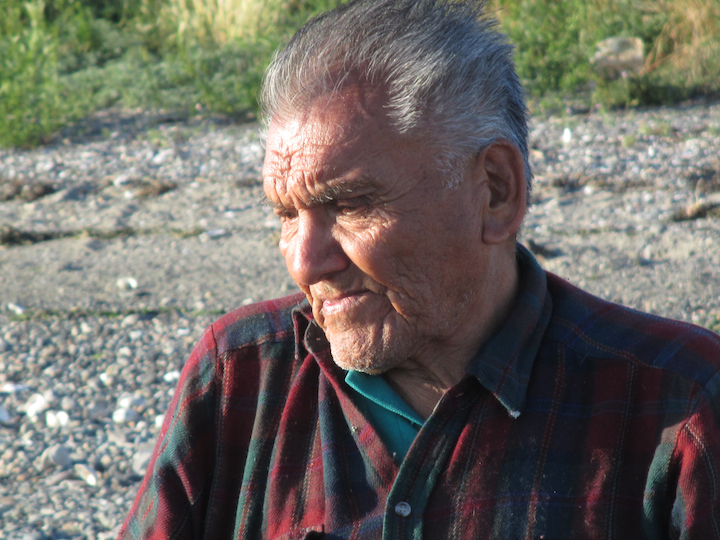 The late Roy Edward, 85, was a native elder from Kuper Island, BC, and a master canoe builder. caught up with him two summers ago, enjoying the canoe races. Roy carved many of the fastest canoes in Indian Country today, all by hand. His largest canoes hold 12 paddlers, and are true ocean-going craft. He splits a log into halves, using a sledgehammer and wedges, then fashions a canoe from each half. The craft of canoe making was taught to him by master carvers. said of the instruction for carving. Instead, he said, tapping his heart, “It’s all here. Wood for the canoes came from Mount Shuksan in the Cascade Range, looming in a vast, white dome over the waters of the Lummi Reservation. “Like a salmon,” he said.